Content marketing is the best approach to create an audience for your brand; it also means that you need to dedicate a lot of time and research creating content for your audience. While I have tried a few approaches, this year I have decided to be more strategic about it. If I focus on too many tasks I can get very easily distracted and lose focus, my personal trainer very quickly learned how to keep me focused! Give me a chance to get distracted or grab attention elsewhere, and you’ve lost me. I very often have 15 tabs open on my browser. I’m like a butterfly who needs boundaries to be more productive and efficient because all this fluttering gets me nowhere and gives me the feeling that I haven’t achieved much. Been there done that? Read on. From this month I have a created a plan to batch content why? Because I want to have a sense of achievement of actually getting somewhere, less stress about planning my content, marketing strategy ahead and be able to take some time off, how does that sound? Where do you start with batching content? Outlining your content, adding a link to previous content, setting goals for the post do you want people to sign up for an opt-in, what type of action do you want them to take at the end of the post? Creating different sizes of graphics for Instagram, illustrate your blog post, Pinterest. Writing the content, proof-reading, scheduling your posts. If you have a launch coming up, you could also work by project and dedicating most of your work to the launch. 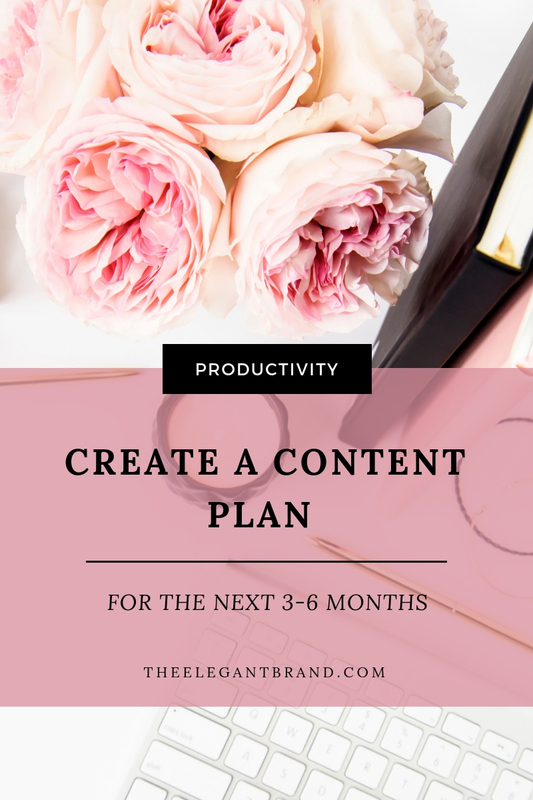 The idea of batching content is for you to get ahead in creating content, so you can focus on other areas of your business, work well ahead with your launches and promotion over the 12 months ahead but also stay focused and cut the distractions away, which means when you’re batching you’re not looking at your email, latest facebook posts, or watching video, you are focused (at least I am trying!). I’m just starting working this way, I will see if I manage to keep it up as I know my weaknesses but I also love the idea to be able to travel, do photo shoots and know that I have content ready to be published without stressing about it. I think this is a strategy that could work really well if you’re dealing with face to face clients are travelling for work and want to take time off with your family. Let me know in the comments how you are getting on with this idea, I will let you know how it’s working for me in the next few months.